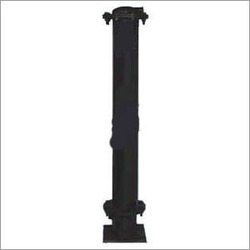 Leading OEM Manufacturer of carbon filter from Ahmedabad. We are among the distinguished names in the industry for manufacturing and supplying Carbon Filter. The offered filter is used for removal of turbidity and odor from water in residential areas. This filter is made in tune with the latest generation trends and is durable. It is compact in size, easy to install and dimensionally accurate. This filter is available at cost-effective prices as well. Looking for Carbon Filter ?